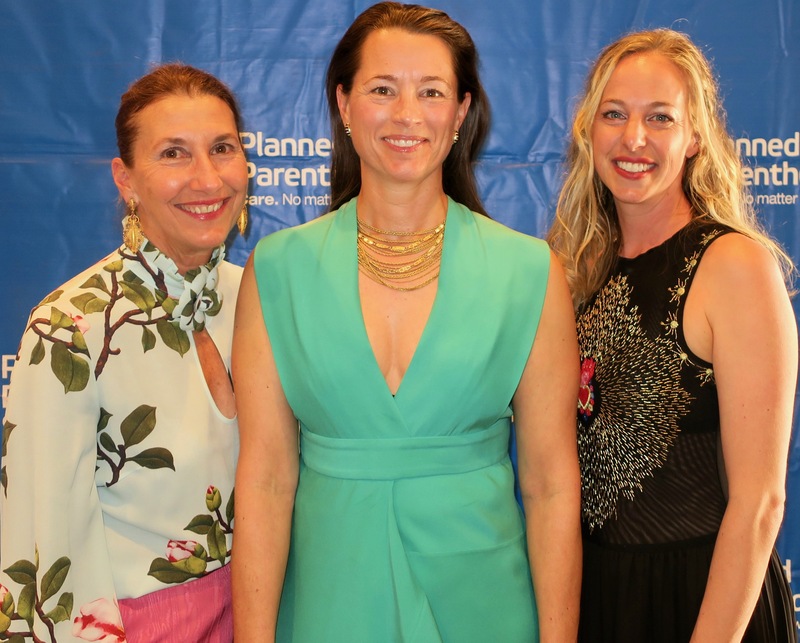 On March 30, about 450 avid supporters of Planned Parenthood California Central Coast (PPCCC) celebrated at the Hilton Santa Barbara Beachfront Resort and raised nearly $250,000 in much needed funds. During the lively reception, guests mingled in the foyer and on an outdoor patio before adjourning to the ballroom for dinner. Geoff Green was, as always, a master in his master of ceremonies and auctioneer roles, emphasizing the critical role played by Planned Parenthood while entertaining guests at the same time. President and CEO Jenna Tosh shared how Planned Parenthoodâ€™s five centers â€” in San Luis Obispo, Santa Maria, Santa Barbara, Ventura, and Thousand Oaks â€” are dedicated to providing high-quality, affordable medical care to everyone, morning through evening, six days per week. Everyone is greeted with compassion and kindness, and nobody is ever turned away. One in five American women has used Planned Parenthoodâ€™s services. Tosh related how â€œsince day one of this administration, we have been fighting to defend our patients from unethical attacks on their health care,â€ including the administrationâ€™s recently finalized gag rule for Title Xâ€™s family planning program, which would deny funding to entities that provide abortion referrals. Planned Parenthood, the American Medical Association, 21 states, and others have sued to prevent the rule from taking effect. Planned Parenthood health centers serve 41% of the four million individuals who receive affordable birth control, cancer screenings, and STI tests through the Title X program. PPCCC Medical Director Dr. Virginia Siegfried, who was educated and trained at Stanford, Columbia, and UCLA, spoke of both the high quality of service provided at its centers and the extraordinary compassion of its staff, who always treat patients with dignity and respect. Siegfried explained the services PPCCC provides, including pregnancy services â€” testing and all the info and care patients need. With California last year having the highest rate of congenital syphilis seen in the past 20 years, this service took on added importance. PPCCC provides all methods of contraception, and partly as a result, the adolescent birth rate in California has dropped to an all-time low. PPCCC provides STI testing and treatment and with infection rates rapidly climbing, this too has become an even more critical service. Last year, PPCCC diagnosed 104 cases of syphilis and provided immediate treatment to those patients. It diagnosed 12 new HIV cases and got those patients on medications. PPCCC provides cancer screenings and treatment arrangements as well as HPV vaccines and treatment for pre-cancerous cervical conditions. It also provides basic health-care services.Â Siegfried noted that it will soon be providing gender affirming hormone care, and that given the high suicide attempt rate among the transgender population, this service will save lives. Board Chair Anne Showe presented Dan Hone with the Jean K. Schuyler Award. Hone served on PPCCCâ€™s board for nearly 25 years, including as vice chair, treasurer, and finance committee chair. Hone recently retired from being the deputy director of UCSBâ€™s Institute of Theoretical Physics. Green led a profitable auction and ask, and then Glen Pannell, aka Mike Hot-Pence, dressed formally on the top but with just boxers below, added considerable levity to the evening with his speech. The main event then gave way to the After Party, with deejays and a lively crowd. Last fiscal year, PPCCCâ€™s five centers served about 32,000 patients, mainly young women, with the Santa Barbara center serving about 8,000 of those. Payment for patient services, largely through Family PACT and Medi-Cal, cover only three-quarters of PPCCCâ€™s expenses, leaving a significant gap to be filled by fundraising. For more info, go to http://ppcentralcoast.org. Photo: Gail ArnoldMedical Director and event speaker Dr. Virginia Siegfried and event honoree Dan Hone.